The Church of England has banned one of its vicars from all social media and taking part in any anti-Israel activities after he appeared to question whether Mossad had a role in the 9/11 attacks. The Church promised to investigate the posting, which happened the week of Holocaust Memorial Day. 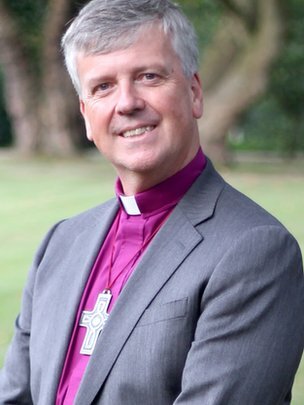 Bishop of Guildford, the Rt Revd Andrew Watson, said the Church took the complaints “extremely seriously” and that he did not consider Sizer to be antisemitic, but a man of “appallingly poor judgment”. Sizer has apologised and recognises the “gross insensitivity of their timing just prior to Holocaust Memorial Day”. But Watson said that Sizer’s “strong but increasingly undisciplined commitment to an anti-Zionist agenda has become a liability to his own ministry and that of the wider church”. Sizer has committed not to write or speak “on any theme that relates, either directly or indirectly, to the current situation in the Middle East or to its historical backdrop”. Sizer has claimed he will not return to social media for at least the next six months. The promise was made on the undertaking that Sizer would immediately resign were he to break the pledge, Watson said. The controversial vicar has a long history of provocative Facebook posts and run-ins with the Jewish community in the UK, even holding a mediation meeting with the Board of Deputies in 2013, aimed at healing relations. Last year, Sizer addressed a conference in the Iranian capital Tehran, which discussed the “influence of the Zionist lobby”, where conference panel sessions included “9/11 and the Holocaust as pro-Zionist ‘Public Myths’” and “Mossad’s Role in the 9/11 Coup d’Etat” and several prominent Holocaust deniers were in attendance. The Bishop of Guildford, the Rt. Rev. Andrew Watson. 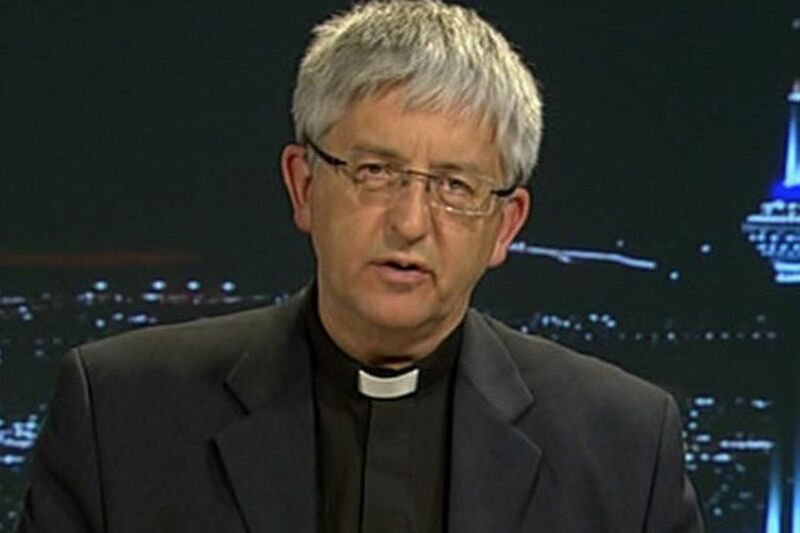 The Diocese of Guildford has taken extremely seriously the reports and complaints regarding Stephen Sizer over the past two weeks. Concerns surrounding Stephen were raised both in response to allegedly offensive materials linked from his Facebook account, and to comments he made to the Jewish News and the Daily Telegraph thereafter. It is perfectly possible to criticize Israeli policies without such criticism being antisemitic, and Christians and others should feel free to do so. However, such legitimate criticism must not be used as a cloak for antisemitism, nor can antisemitism itself ever be disguised as mere political comment. Having now met Stephen, in my brand new role as Bishop of Guildford, I do not believe that his motives are anti-Semitic; but I have concluded that, at the very least, he has demonstrated appallingly poor judgment in the material he has chosen to disseminate, particularly via social media, some of which is clearly antisemitic. By associating with or promoting subject matter, which is either ambiguous in its motivation, or (worse still) openly racist, he has crossed a serious line. I regard these actions as indefensible. I have welcomed Stephen’s apology, his recognition of the deep hurt caused by his actions, his acknowledgement of the gross insensitivity of their timing just prior to Holocaust Memorial Day, and his retraction of the ridiculous suggestion that Israel may have been complicit in the events of 9/11. I have also recognized that much of Stephen’s ministry in other areas and at other times has been good, wise and wholesome. Having consulted closely with my colleagues here in the Diocese, though, it is my view that Stephen’s strong but increasingly undisciplined commitment to an anti-Zionist agenda has become a liability to his own ministry and that of the wider church. Many who more moderately support the Palestinian cause, and share his critique of a particular brand of Christian fundamentalism, themselves find Stephen’s actions to be increasingly unhelpful and counter-productive, a fact he himself now recognizes. It is therefore my decision that Stephen’s work in this area is no longer compatible with his ministry as a parish priest. Should Stephen be deemed by the Diocese to have broken this agreement, in letter or in spirit, he has pledged to offer me his immediate resignation, which I will duly accept. He has also agreed to desist from the use of social media entirely for the next six months, after which he and I will review that prohibition. It is fair to say that Stephen seems relieved to be working within this clear new framework, and would now like to redirect his energies into his work as a parish priest. The Diocese of Guildford has been in contact with the Board of Deputies of British Jews throughout this matter. I have made them aware of Stephen’s undertaking, and am grateful for the positive and constructive nature of our conversations. I would also like to thank all those who have taken the time to contact me and my colleagues in the aftermath of these events, and for everything we have learnt from your various perspectives. Most importantly of all, I am hugely sorry for the hurt which has been caused to members of the Jewish Community, and I hope and pray that the storms of the past two weeks will ultimately serve to deepen and strengthen our relationship, one with another. This is a time when I would urge all Christian people to stand shoulder to shoulder with our Jewish brothers and sisters in countering the alarming rise of antisemitic incidents being reported, not least here in the UK. This is also a time for people of faith, Jews, Christians, Muslims and others, to work together in that open, robust partnership that will help to promote peace and justice in our communities, our nation and the wider world. actions, for which I take full responsibility. themes, whether formally or informally. that it should be so. Interviewed on Monday, Bishop Watson said the diocese had considered proceeding against Dr Sizer under the Clergy Discipline Measure. They chose an informal agreement because of the need for a quick solution. Bishop Watson said it was preferable, “particularly with anti-Semitic attacks on the rise in the UK”, to find a resolution which would satisfy the “natural outcry from the Jewish community” without having to begin legal proceedings, which would have been long, given that Dr Sizer has the freehold of his benefice. The agreement has real “teeth” in it, Bishop Watson said, and the publicity surrounding it would ensure that Dr Sizer kept his word. “I think he was very pleased with the suggestion it was either his parish ministry or his pro-Palestine [activism],” Bishop Watson said. “He could have stepped down from being a parish priest, but he was very clear he wanted to continue his ministry. Posted on Stephen Sizer’s Facebook page by Tapash Abu Shaim. Dr Sizer has been in trouble in the past. In 2013, the Board of Deputies of British Jews made a formal complaint against him, accusing him of linking to anti-Semitic websites (News, 25 October 2013). The complaint was resolved through conciliation, part of which involved Dr Sizer committing to having three people monitor his online activity and any websites he links to. The previous year he was investigated by Surrey Police after posting allegedly anti-Semitic content online. However, the Crown Prosecution Service decided he had not committed any criminal offence (News, 4 May 2012). Bishop Watson also said in his statement that he was “hugely sorry” for the hurt caused to the Jewish community by Dr Sizer’s actions. “This is a time when I would urge all Christian people to stand shoulder to shoulder with our Jewish brothers and sisters in countering the alarming rise of anti-Semitic incidents being reported,” he said. The Council of Christians and Jews (CCJ) said in a statement that it welcomed Bishop Watson’s decision as Dr Sizer’s activities had been a “source of grave concern”. “We are grateful for the seriousness and clarity with which the diocese of Guildford has addressed this case, since this sends a clear message that Christians have a duty to identify and challenge anti-Semitism in all its forms,” said the CCJ’s director, Jane Clements. Sizer’s nemesis, Jonathan Arkush. He is one of three vice-presidents of the BoD and the one who is most often in the news. Jonathan Arkush, vice president of the Board of Deputies of British Jews, has welcomed the actions of the Diocese of Guildford following a Facebook posting by Rev Stephen Sizer linking Israel and the Jews to the 9/11 attacks, which was revealed in a Jewish News report. The Diocese has banned Rev Sizer from using any social media for six months and Rev Sizer has himself pledged not to write tweet or blog about the Middle East again. Below is the sort of anti-Israel conspiracy theory about 9/11 that is circulating on the internet. There are so many conspiracy theories about this event that Wikipedia has more than one page dedicated to recording them – a perverse victory for the reputation of Mossad as a super-agency. This one is particularly absurd as it is known that 15 of the 19 men flying planes were from Saudi Arabia and all were in Al Qaeda. They had their own reasons for wanting to create a ‘spectacular’, a symbolic blow against the USA for interfering in their countries (which also included Lebanon and Egypt). They would have had no idea that the twin towers would collapse as New York City building regulations stipulate skyscrapers must be able to withstand being accidentally struck by a plane. When an event occurs that that fundamentally changes the dynamics of global geopolitics, there is one question above all others whose answer will most assuredly point to its perpetrators. That question is “Cui bono?” If those so indicted are in addition found to have had both motive and means then, as they say in the US, it’s pretty much a ‘slam-dunk’. Discounting the ‘Official narrative’ as the absurdity it so clearly is, there are just two organisations on the entire planet with the expertise, assets, access and political protection necessary to have both executed 9/11 and effected its cover-up to date (ie the means). Both are Intelligence Agencies – the CIA and Israel’s Mossad whose motives were arguably the most compelling. Those motives dovetailed perfectly with the Neocon PNAC agenda, with it’s explicitly stated need for “…a catastrophic and catalyzing event – like a new Pearl Harbor”  in order to mobilise US public opinion for already planned wars, the effects of which would be to destroy Israel’s enemies.